...is Bambi's voice. 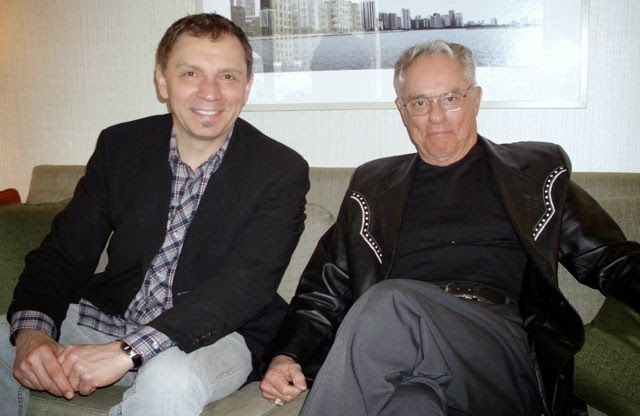 Early in 2011 I had the tremendous pleasure to meet him in Chicago while we were both promoting the Bluray release of the film. Donnie embraced his legendary work for Walt Disney, but for many years he preferred not to talk to anyone about his Hollywood career as a child actor. Dunagan was born in San Antonio, Texas, but his family soon moved to Memphis, Tennessee, where they struggled with poverty. There at the age of three-and-a-half he won a talent contest prize of $100. 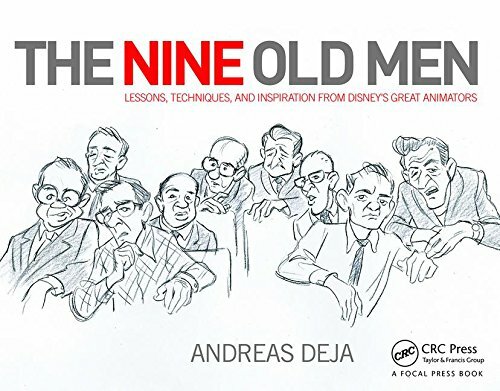 Spotted by a studio talent scout, the family moved to Hollywood, where Dunagan appeared in a series of films and soon became his family's main breadwinner. 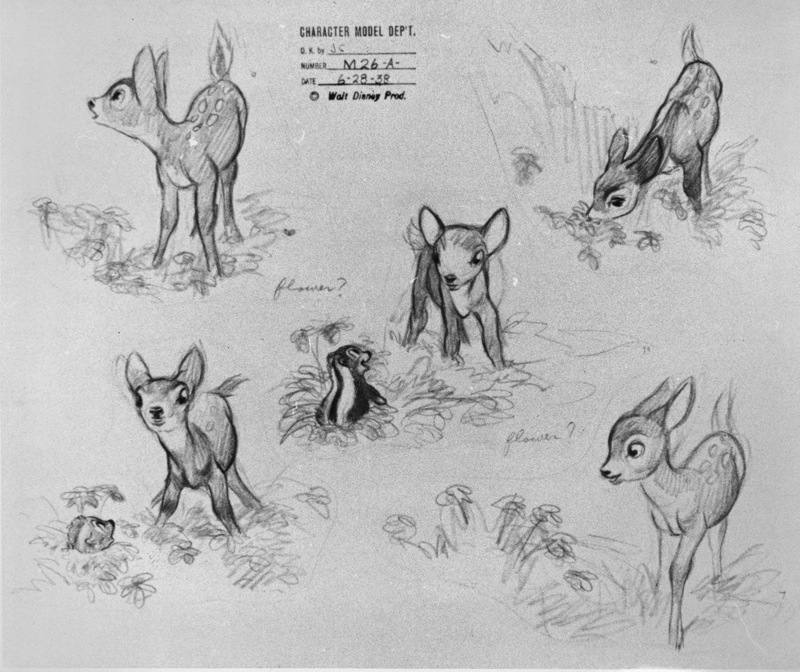 His career ended after he provided the voice for the young fawn in Walt Disney's Bambi. By the age of 13, Dunagan was living in a boarding house and working as a lathe operator. In 1952, at the age of 18, he enlisted in the Marine Corps. He became the Marines' youngest-ever drill instructor and served three tours in Vietnam, where he was wounded several times, before finally retiring in 1977 with the rank of Major. For his service he received a Bronze Star and the Purple Heart three times. Dunagan has said in interviews that he kept his acting career a secret while serving in the Marines. Donnie turned eighty years this past August, but you would never know it. He still has the energy and enthusiasm of a kid. 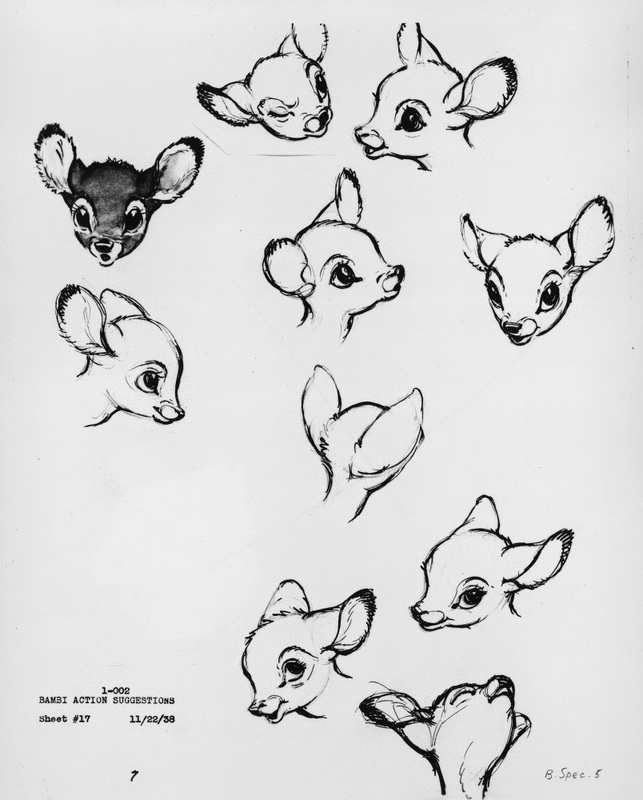 Here is some early art from this extraordinary Disney film. 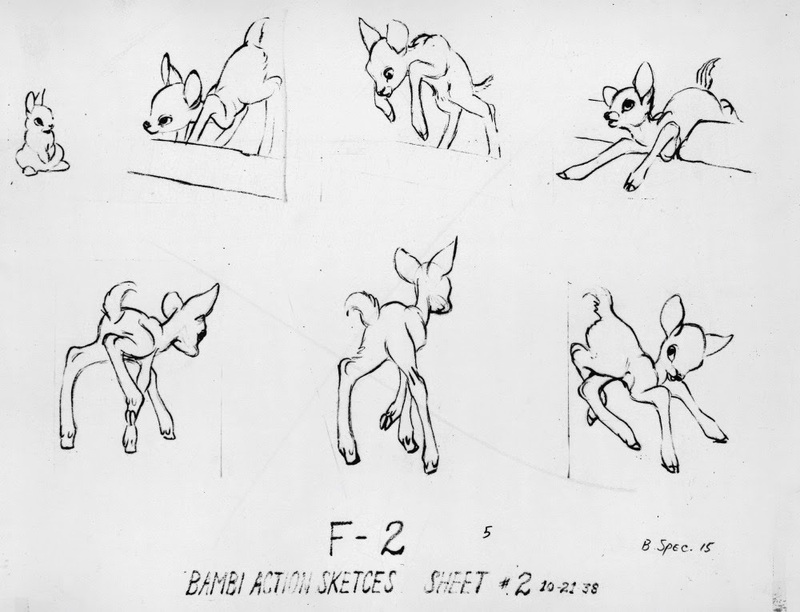 Look at how thick Bambi's legs are depicted here based on realistic studies. Frank Thomas preferred this approach, but Milt and Marc stylized the legs, and drew them thinner for contrast. 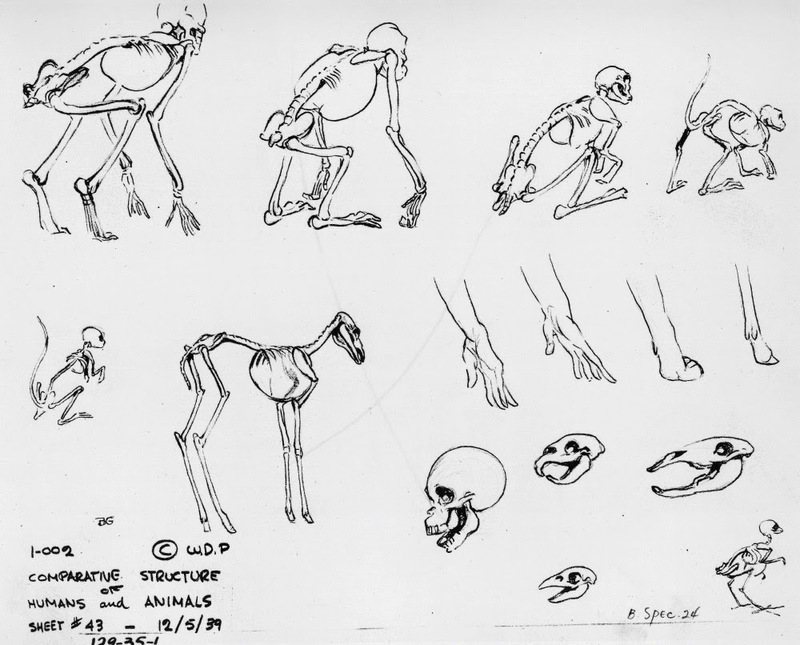 Comparative anatomy, sooo important! All mammals have the same bone structure, and it's very useful to know where hip bones, knees and elbows are compared to a human skeleton. 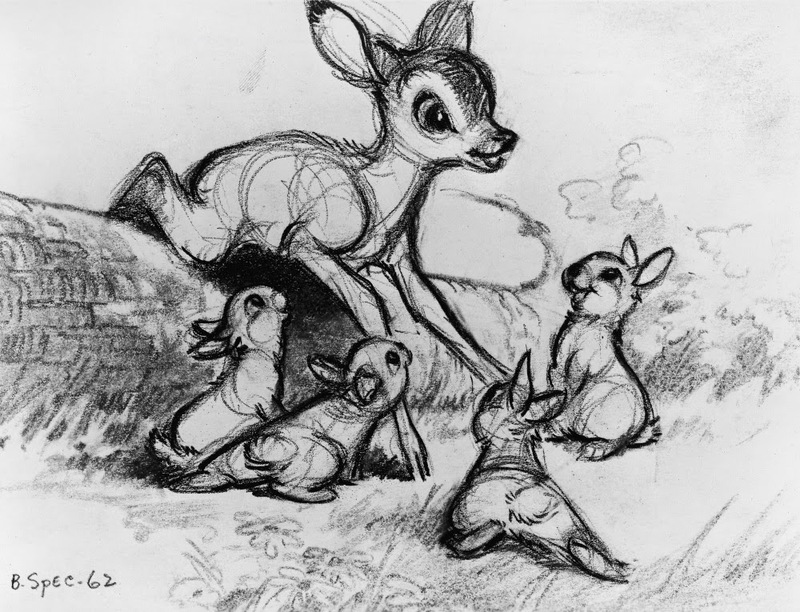 A Marc Davis story sketch for a scene Milt Kahl ended up animating. A stunning study of light and shade in this incredible forest! 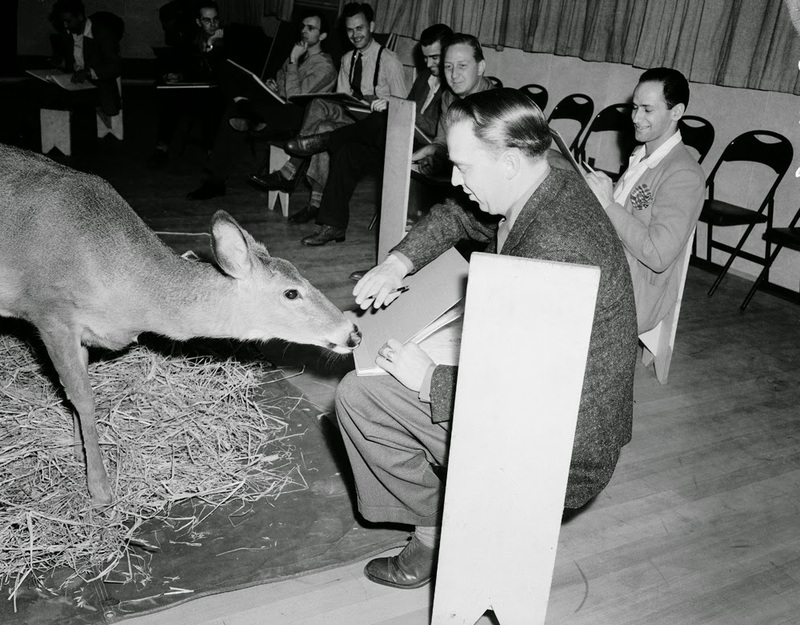 Looks like the model deer almost ate Eric Larson's sketch book.